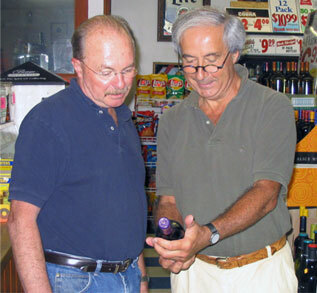 At R&P Liquors & Fine Wines, customer service is our top priority. 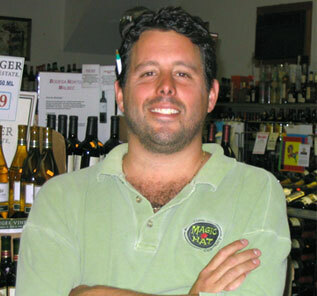 We like to get to know our customers on a first-name basis and ask lots of questions, so that we can recommend just the right wine, beer, or liquor for that special occasion. In addition, we always educating ourselves about the latest trends in the beverage industry - attending wine tastings, going to trade shows, and monitoring industry publications. We offer a full-line of beer, wine, and spirits from around the world, with over 500 selections of wine (red, white, domestic, and vintage); over 150 different kinds of beer (import, domestic, and special order drafts); and just about every type of liquor you can imagine. If you can't find what you're looking for or you have a question about ordering products, just send us an email (info@rpliquors.com) or call 413-253-9742 and we'll take care of you! Len has been at the helm of R&P since it all began back in 1968, guiding its development and helping it grow into the full-service, high-quality, family business that it is today. From the beginning, Len has placed customer service at the forefront of the business, by listening to and getting to know just about every person that walks through the door. Len also places a high value on employees of R&P, by mentoring them and looking for ways to make their jobs fun and enriching. 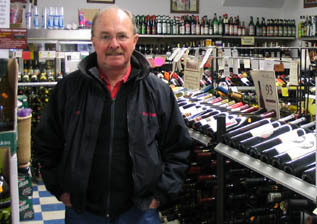 Len has a vast knowledge of the beverage industry, with a particular passion for fine wines. If you want to learn more about regional varieties, appropriate matches for the meal you're planning, or the wine-making process in general, just ask Len! He'll be more than happy to chat with you about all the subtle nuances. One word of caution though, be prepared for an earful, as this is an area he takes very seriously and loves to talk about. Nathan is a bundle of energy, warmth, and enthusiasm. Like Len, he possesses an impressive understanding of the beverage industry. As the primary interface between beverage distributors and store inventory, Nathan's knowledge base and skills of persuasion allow R&P to provide its customers with the highest quality products at great prices. Nathan also serves as the point person for catering services. In addition to sound advice regarding party planning, "Nate," as some like to call him, delivers fast and friendly service, to ensure that your event is a complete success.